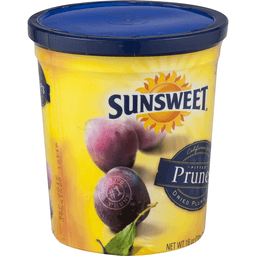 Sunsweet® Amazin™ Pitted Prunes. No added sweeteners. Good source of fiber. 100 calories per serving. Deliciously fat free. We believe making good food choices are critical to treating your body right and living life to its fullest. 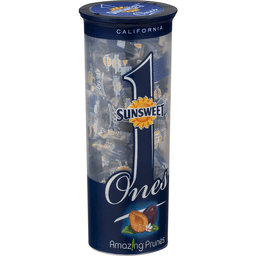 Sunsweet Amazin Prunes provide the nutrition you need to keep your body feeling good and energized. Quality growers owned. Feel good fact #9: Prunes contain both soluble and insoluble fiber. For more facts, healthy eating tips and recipes, visit us online. Sunsweet® and Amazin design are trademarks of Sunsweet Growers Inc. in the U.S.A. and other countries. Diabetic exchange: 2 fruit. Glycemic index: *University of Sydney Glycemic Index Research. Fruits & Vegetables More Matters®. Please recycle. For questions or comments call: 1-800-417-2253, 9AM - 6PM EST, Mon-Fri. ©Sunsweet Growers Inc. Ocean Spray® Craisins® Brand Greek Yogurt. New snacking size. Dried cranberries. 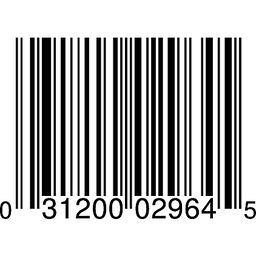 Resalable package. Greek yogurt covered sweetened dried cranberries. 5 oz net wt (142g). A satisfying snack that's perfect at home or on the go. 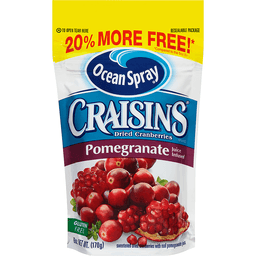 Treat yourself to Ocean Spray® Greek yogurt covered Craisins® dried cranberries! We've taken the Craisins® dried cranberries you love and dipped them in real Greek yogurt for a snack you can feel good about giving your whole family. For recipes and information about all our great Craisins® dried cranberries products, visit us at www.craisins.com. 1-800-662-3263. Ocean Spray® Craisins® Blueberry Juice Infused. 20% More free!*. *Compared to the 5 oz bag. Resealable package. Dried cranberries. Gluten free. Sweetened dried cranberries with real blueberry juice. Enjoy Craisins® dried cranberries every day, in every way! People love the taste of Craisins® dried cranberries - and it's easy to see why. From salads to muffins, yogurt and more, Craisins® dried cranberries add a sweet cranberry zing that brings foods to life. Refined sunflower oil is used as a processing aid. 1 Serving of Craisins® dried cranberries meets 25% of your daily recommended fruit needs**. Dairy, fruit, vegetables, grains, proteins. choosemyplate.gov. **Each 1/4 cup serving of Craisins® dried cranberries provides 1/2 cup of fruit. The USDA My Plate recommends a daily intake of 2 cups of fruit for a 2000 calorie diet. 1-800-662-3263. Visit www.craisins.com for more recipes and usage ideas and experience the power of the cranberry for yourself! Milk chocolate covered sweetened dried cranberries. New. Resealable package. A satisfying snack that's perfect at home or on the go. 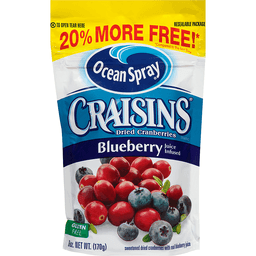 Treat yourself to Ocean Spray Milk Chocolate Covered Craisins Dried Cranberries! We've taken the Craisins Dried Cranberries you love and dipped them in premium milk chocolate for a snack you can feel good about giving your whole family. For recipes and information about all our great Craisins Dried Cranberries products, visit us at www.craisins.com. Needs no refrigeration after opening. Individually wrapped. California grown. What could be better than a sweet and nutritious treat for only 100 calories? 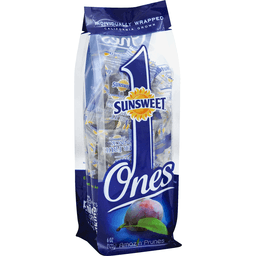 Sunsweet Ones go wherever your busy life takes you: in the car, at the park, at the gym. 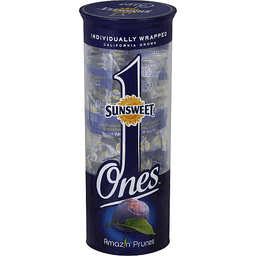 These individually wrapped, delicious Amaz!n Prunes make it easy to enjoy a satisfying snack. 100 calories per serving. Good source of fiber. Over 1 billion enjoyed! Fruits & Veggies: More matters. Enjoy Sunsweet Ones anywhere! Gym. Beach. Golfing. Outdoors. Mall. Work. Picnic. Garden. Surfing. BBQ. Snow boarding. Movies. Camping. Car. Hiking. Fishing. Park. Home. Desk. Walking. Skating. For Questions or Comments Call: 1-800-417-2253, 9am-6pm EST, Mon-Fri. Please recycle. Diabetic Exchange: 2 fruit. Dried fruits have fiber along with carbohydrates and can be a good choice in your diabetic meal plan. Product of USA. 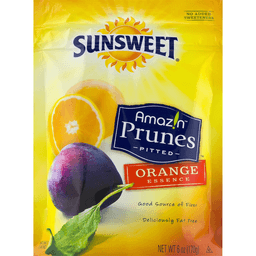 Sunsweet® Pitted Orange Essence Amazin™ Prunes. No added sweeteners. Good source of fiber. Deliciously fat free. Naturally flavored. Amazin™ prunes. We believe making good food choices are critical to treating your body right and living life to its fullest. Sunsweet Amazin prunes provide the nutrition you need to keep your body feeling good and energized. Grower quality owned. Feel good fact #17. 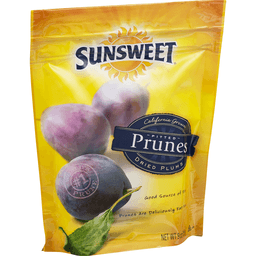 Sunsweet® prunes have a low glycemic index (29)*. For more facts, healthy eating tips and recipes, visit us online. Diabetic exchange: 2 fruit. Glycemic index: *University of Sydney glycemic index research. Fruits & Veggies More Matters®. Please recycle. For questions or comments call: 1-800-417-2253, 9AM- 6 PM, Mon - Fri. Sunsweet® and Amazin design, are trademarks of Sunsweet Growers Inc, in the U.S.A. and other countries. ©Sunsweet Growers Inc.
With sweetened dried cranberries, peanuts, chocolate chips, almonds and cashews. Dried cranberries. Resealable package. New snacking size. A satisfying snack that's perfect at home or on the go. Our Ocean Spray Craisins Dried Cranberries Cranberry & Chocolate Trail Mix takes the sweet, delicious taste of Craisins Dried Cranberries and blends it with lightly salted nuts and semi-sweet chocolate for a convenient snack your whole family will love. For recipes and information about all our great Craisins Dried Cranberries products, visit us at www.craisins.com. Packaged in the United States with cashews from India, Brazil, Vietnam, Indonesia or Ghana. New snacking size. With sweetened dried cranberries, honey-roasted peanuts, papaya, cashews, banana, pineapple and coconut. Dried cranberries brand. Resealable package. A satisfying snack that's perfect at home or on the go. Our Ocean Spray Craisins Dried Cranberries Fruit & Nut Trail Mix takes the sweet, delicious taste of Craisins Dried Cranberries and blends it with exotic dried fruits and crunchy nuts for a convenient snack your whole family will love. For recipes and information about all our great Craisins Dried Cranberries products, visit us at www.craisins.com. Packaged in the United States with papaya and pineapple from Thailand, banana chips and coconut from the Philippines. Dried cranberries. Made with real fruits & whole grain oats. Larger clusters. Fewer crumbs. Resealable package. Crunchy-chewy snacking satisfaction. Each bite-sized fruit cluster combines crunchy almonds with sweet chewy cranberries for a wholesome snack that's sure to satisfy. Pop them in your mouth for the perfect snack. They're also great as a yogurt or ice cream topper! To learn more about our wholesome snacks and tasty recipes, visit www.craisins.com. New snacking size. Dried cranberries. Made with real fruit & whole grain oats. Resealable package. Crunchy-chewy snacking satisfaction. Each bite-sized fruit cluster combines crunchy granola with sweet chewy cranberries for a wholesome snack that's sure to satisfy. Pop them in your mouth for the perfect snack. They're also great as a yogurt or ice cream topper! To learn more about our wholesome snacks and tasty recipes, visit www.craisins.com. Ocean Spray® Craisins® Brand Pomegranate Juice Infused. 20% More free! * *Compared to the 5 oz bag. Dried cranberries. Gluten free. Sweetened dried cranberries with real pomegranate juice. Enjoy Craisins® dried cranberries every day, in every way! People love the taste of Craisins® dried cranberries - and it's easy to see why. From salads to muffins, yogurt and more, Craisins® dried cranberries add a sweet cranberry zing that brings foods to life. Visit www.craisins.com for more recipes and usage ideas and experience the power of the cranberry for yourself! Refined sunflower oil is used as a processing aid. 1 Serving of Craisins® dried cranberries meets 25% of your daily recommended fruit needs**. Fruits. Vegetables. Grains. Protein. Dairy. choosemyplate.gov. **Each 1/4 cup serving of Craisins® dried cranberries provides 1/2 cup of fruit. The USDA my plate recommends a daily intake of 2 cups of fruit for a 2000 calorie diet. 1-800-662-3263. Made in the USA with North American cranberries. 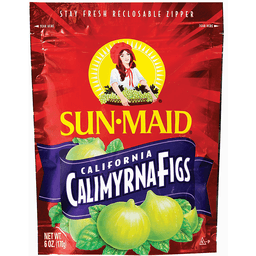 Sun-Maid® California Calimyrna Figs. Net Wt. 6 OZ. (170 g). Taste The Sunshine! Sun dried to perfection in the warm California sun and gathered at peak flavor, Sun-Maid's Golden California Calimyrna Figs are hand selected to ensure only the best fruit is delivered to you. The naturally sweet, amber colored fruit has a tender skin and a slightly nutty flavor. • Convenient, portable high-energy snack. • Rich in fiber. • Tasty addition to cereals, salads, entrees and side dishes. • Delicious paired with cheese and chocolate. Health experts agree that everyone benefits from eating more fruits and veggies-and that includes Sun-Maid Golden Calimyrna Figs. Just three Calimyrna Figs provide 5 grams of dietary fiber-that's 20 percent of the Daily Value. Enjoy dried California figs and enjoy the sweet taste of good health. The Sun-Maid Seal is Your Assurance of the Finest Quality. ® Trademark of Sun-Maid Growers of California. Please Visit us on the web at www.sunmaid.com, www.valleyfig.com. © Sun-Maid Growers of California, 2008. Individually wrapped. For questions or comments call: 1-800-417-2253, 9AM-6PM EST, Mon-Fri. What could be better than a sweet and nutritious treat for only 100 calories? Sunsweet Ones go where your busy life takes you: in the car, at the park, at the gym. 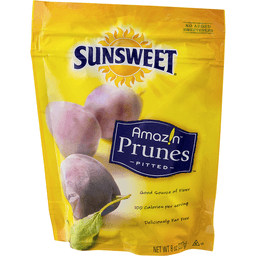 These individually wrapped, delicious Amazin Prunes make it easy to enjoy a satisfying snack. 100 calories per serving. Good source of fiber. Over 1 billion enjoyed! Fruits & Veggies: More matters. Please recycle. Diabetic Exchange: 2 fruit. Dried fruits have fiber along with carbohydrates and can be a good choice in your diabetic meal plan. California grown. Product of USA. 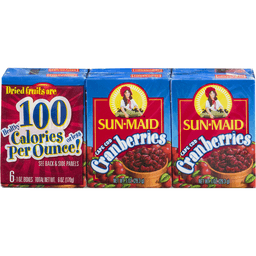 Sun-Maid® Cape Cod Cranberries. Dried fruits are 100 healthy calories per ounce! Or less. See back & side panels. Raisins and dried fruits are good for your health, are easy to carry, and taste great. Available in many different packages, from small 1/2 oz. boxes to large 36 oz. bags. Raisins and dried fruits are 100 calories or less per ounce: Dried apricots - 80 calories. Raisins - 90 calories. Dried cranberries - 90 calories. Dried cherries - 100 calories. Health experts agree that adding more fruit to your diet is a healthy way to improve your life. Please visit us on the web at www.sunmaid.com. California grown. Dried plums. No added sweeteners. World's No. 1 prune. The amazing prune. From the fertile valley of central California, Sunsweet Pitted Prunes are succulent and sweet with an irresistible flavor nurtured to perfection. So go ahead, live a little. Pop a few for a snack or into recipes and enjoy! Amazing Prune Fact: Prunes are deliciously fat free and 100 calories in each amazing serving. For more amazing prune facts and healthy eating tips please visit us online. For questions or comments call: 1-800-417-2253, 9AM-6PM EST, Mon-Fri. Diabetic Exchange: 2 fruit. Dried fruits have fiber along with carbohydrates and can be a good choice in your diabetic meal plan. California grown. Dried plums. No added sweeteners. Petite. The amazing prune. From the fertile valley of central California, Sunsweet Bite Size Prunes are succulent and sweet with an irresistible flavor nurtured to perfection. So go ahead, live a little. Pop a few for a snack or into recipes and enjoy! Amazing Prune Fact: Prunes are deliciously fat free and 100 calories in each amazing serving. For more amazing prune facts and healthy eating tips please visit us online. For questions or comments call: 1-800-417-2253, 9AM-6PM EST, Mon-Fri. Diabetic Exchange: 2 fruit. Dried fruits have fiber along with carbohydrates and can be a good choice in your diabetic meal plan. Fruits & veggies more matters. 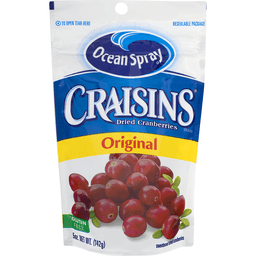 Ocean Spray Craisins Brand Original Dried Cranberries. Gluten free. Sweetened dried cranberries. Enjoy Craisins dried cranberries every day, in every way! More people prefer the taste of original Craisins dried cranberries over raisins* - and it's easy to see why. From salads to muffins, yogurt and more, Craisins dried cranberries add a sweet cranberry zing that brings foods to life. Visit www.craisins.com for more recipes and usage ideas and experience the power of the cranberry for yourself! *Based on a national taste test conducted among raisins consumers comparing Ocean Spray Original Craisins dried cranberries and two of the nation's leading brands of raisins. Refined sunflower oil is used as a processing aid. 1 serving of Craisins dried cranberries meets 25% of your daily recommended fruit needs**. Dairy. Fruits. Grains. Vegetables. Protein. Choosemyplate.gov. **Each 1/4 cup serving of Craisins dried cranberries provides 1/2 cup of fruit. The USDA My Plate recommends a daily intake of 2 cups of fruit for a 2000 calorie diet. 1-800-662-3263. Made in the USA with North American cranberries. 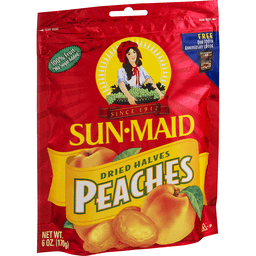 Sun-Maid® Dried Halves Peaches. 100% fruit "no sugar added". Free our 100th anniversary ebook. Since 1912. 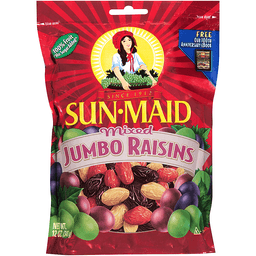 Sun-maid raisins & dried fruits: Serving American families & the world since 1912. One hundred years in the making, Sun-Maid's century of experience answers all your questions on raisins and dried fruits - their unique characteristics, their history, and how they are grown, processed, marketed, and enjoyed throughout the world. Available as a free download for iPad/iPhone or as a pdf, Sun-Maid's 100th anniversary ebook features vibrant color photographs, fun facts, and more than 50 favorite recipes featuring raisins and dried fruits. The Sun-Maid seal is your assurance of the finest quality. Quality seal. 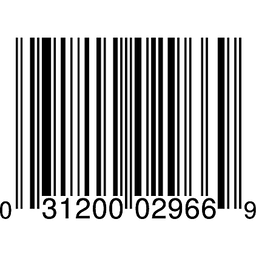 ® trademark of Sun-Maid growers of California and ©Sun-Maid growers of California, 2003. Amazing prunes. California. Individually wrapped dried plums. To Our Loyal Fans, In our wildest dreams we never expected Ones to become so popular. These delicious prunes have been enjoyed by over 3/4 billion - and counting! It's truly unbelievable. All we can say is wow and thank you so much! - Your friends at Sunsweet. For more great ideas, recipes and ways to enjoy Sunsweet dried fruit, please visit us online. Fruits & veggies more matters. Please recycle. For questions or comments call: 1-800-417-2253, 9AM-6PM EST, Mon-Fri. Dietary Exchange: 2 fruit. Dried fruits have fiber along with carbohydrates and can be a good choice in your diabetic meal plan. Dried plums. Good source of fiber. Prunes are deliciously fat free. California grown. World's No. 1 prune. Grower owned quality. The amazing prune. From the fertile valley of central California, Sunsweet Pitted Prunes are succulent and sweet with an irresistible flavor nurtured to perfection. So go ahead, live a little. Pop a few for a snack or into recipes and enjoy! Amazing Prune Fact: Prunes are deliciously fat free and 100 calories in each amazing serving. For more amazing prunes facts and healthy eating tips please visit us online. Fruits & veggies more matters. Please recycle. For questions or comments call: 1-800-417-2253, 9AM-6PM EST, Mon-Fri. Diabetic Exchange: 2 fruit. Dried fruits have fiber along with carbohydrates and can be a good choice in your diabetic meal plan. No added sweeteners. Good source of fiber. 100 calories per serving. Amazin prunes. 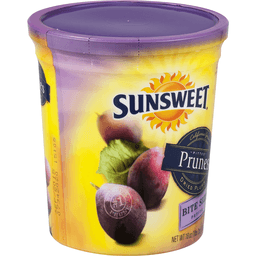 Sunsweet Amazin Prunes are a healthy choice. Each delicious serving provides a good source of fiber and just 100 calories, with a low glycemic index (Glycemic Index: University of Sydney Glycemic Index Research). Our family farmers take great pride in growing the highest quality and best tasting prunes. So go ahead, enjoy! Quality grower owned. Prune Fact No. 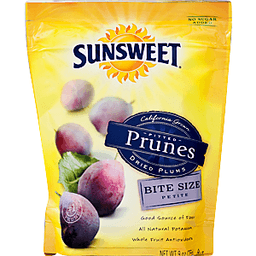 17: Sunsweet Prunes have a low glycemic index (29) (Glycemic Index: University of Sydney Glycemic Index Research). For more facts, healthy eating tips and recipes, visit us online. For questions or comments call: 1-800-417-2253, 9AM-6PM EST, Mon-Fri. Fruits & veggies more matters. Please recycle. Diabetic Exchange: 2 fruit.